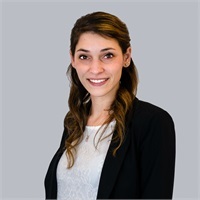 Casey joined the Condon Sullivan team in November of 2017 as an intern, graduated in May 2018, and has come on full time as a client relationship manager to help us continue to provide a top notch experience for our clients. Casey assists in carrying out much of the day to day equites operations at the firm. She supports clients with a variety of daily requests and inquiries to meet the needs of each individual. If you ask Casey what she loves most about her role she will tell you that she has always been passionate about helping friends and family achieve financial stability through budgeting and goal planning. Her parents instilled in her the value of a dollar and the positive impact of hard work and a great attitude. She is excited by the opportunity to help clients improve the trajectory of their plans as well as develop her skill set in the financial advisory industry! Casey has BS in Business Administration from the Manning School of Business at UMass Lowell with a focus on management. Her willingness to learn about the firm’s operations has quickly made her as asset. Outside the office, Casey loves walking and playing with her two rescue dogs, a hound mix named Calli and a red hound mix named Addie. She also enjoys camping, boating, spending time with loved ones on the Cape and maintaining a perfect record at ping pong.